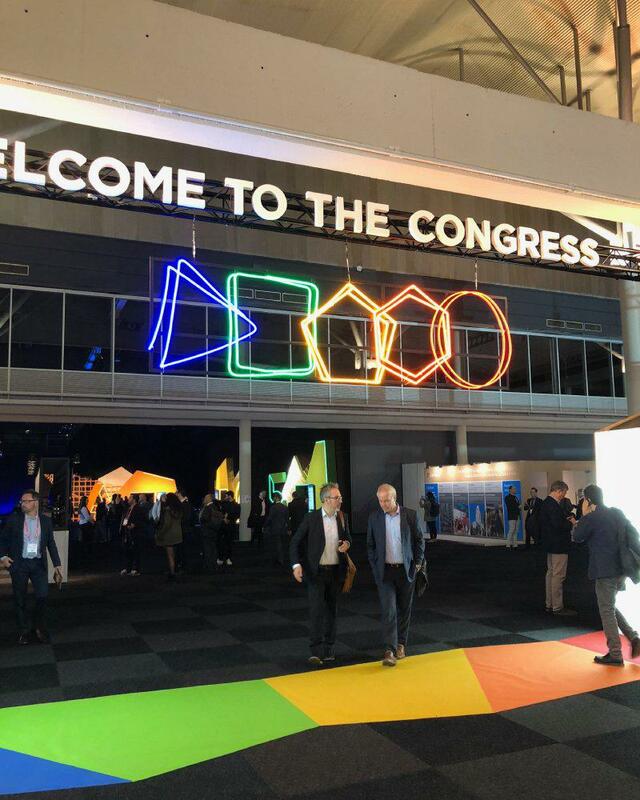 Today for the city and smart city nerds like me it’s kind of Christmas, Easter, your birthday and New Years all rolled into one, as it was my first day at the Smart City Expo World Congress here in Barcelona. As a "newbie" to the Congress, it came with both high expectations, anticipation and excitement to finally immerse myself in all that the congress had to offer. It would be remiss of me to not however, note first that we caught a driverless metro train from our hotel to the conference venue, which cost a grand total of 1 Euro or about $1.50 AUD for this whole trip. Now, if ever there is a smart city it is one that has smart transport, but also transport priced cheaply enough that the masses don’t even think about jumping in a car or taxi. Out of interest, equivalent trip in a taxi would have been about $25 AUD. But back to the congress! “Shut up and take my money” was some of the first words uttered by Adam Beck during our first product demonstration for the day, and I think this quickly became the catch cry of the day. There was so many amazing things to see as we wandered the trade floor and attempted to do a recon mission of the many hundred (I started counting but got to 180 stands and was only up to the letter ‘K’ on the exhibitor list, and I lost interest), so I would take a guess that the trade area had 400-500 booths and was approximately two hectares in area -- around 200 metres long and 100 metres wide. So, a trade hall that is not for the faint hearted, and it is going to be a mission to get around and see it all, listen, explore and shut up and let the exhibitors take our money! To be honest, it is a bit hard to know where to start and stop in explaining in words what the trade hall looks like physically, so I will let a few photos do that. But I would say that the key themes, topics and things if you were to rapidly traverse the hall quickly would be IoT sensors, parking sensors, parking Apps, parking management platforms and a few dashboards in between. But dig a bit deeper and there was some great e-democracy, e-participation, citizen engagement and digital communication apps and platforms on display and available amongst many things that caught my eye. This is a real focus of mine for this trip, as an influence and research source for my own digital government/community communication platform and App that I am building back home in Oz. So it was pleasing to see this stuff in action and how others are tackling the topic, but probably more pleasing to see that no one was doing anything close to what we are proposing and building. We might be onto something -- but stay tuned for more on that! There are massive companies like Microsoft, Cisco and SAP here, and all have brought their secondary micro-providers using the platforms, which is where the innovation seems to be coming from. There are also cities, countries and regions all here, showing off the wares of their cities and towns and the startups and companies from within. We discussed as a challenge, how long until there is an Australian trade booth and section here, and when there will be enough unique Australian Smart City products, providers and solutions to warrant and support such a stand. Here’s hoping the answer is 2018! Consider that a call to arms to all Australian based IoT, fin-tech, smart city and mobility solution providers. Time to show the world who we are and what we can do. It was great to see the start-up village tucked away in a sizeable corner of the trade hall. A big area dedicated to small start-ups each of which had their own small booths and areas to demonstrate, share and sell their emerging technology, apps and ideas. 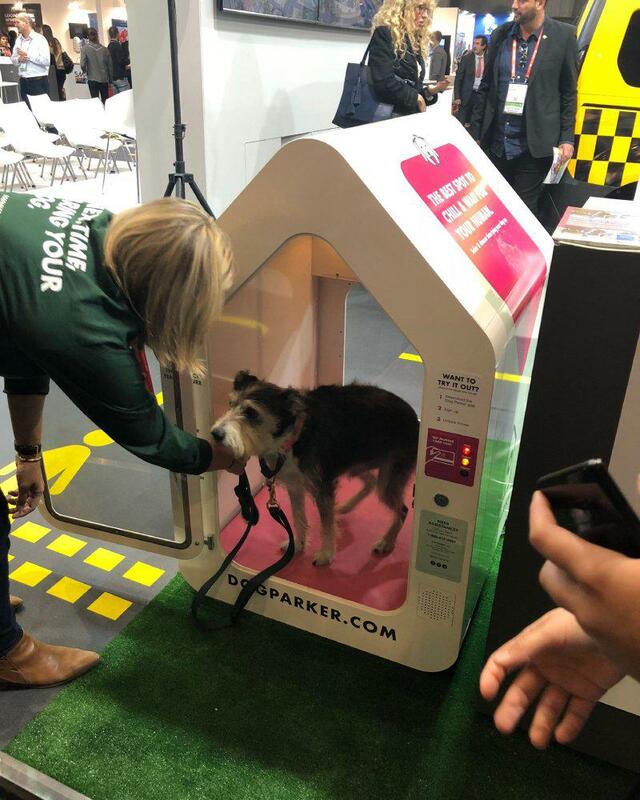 As a start-up myself and having seen such innovation coming from this section of the smart city eco-cycles, it is great to see this level of support and fostering of the "little guys". 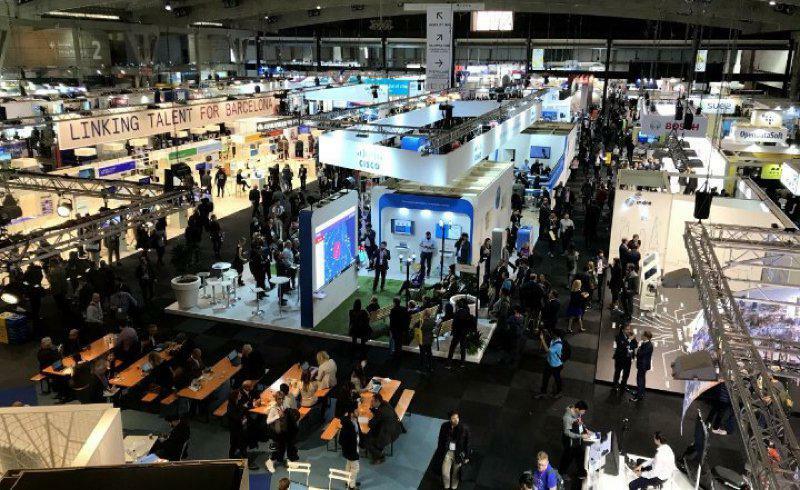 Perhaps more interestingly, it was great to see the level of support and investment that the Catalonian government and Barcelona places in start-ups. 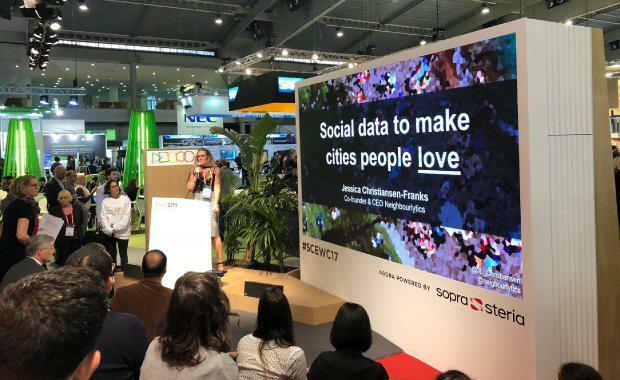 Speaking of start-ups, I need to put a shout out to Jess from @neighbourlytics who did a great job showing off her freshly-launched product and platform on the global stage here in Barcelona. So great to see Jess leading the way with a globally unique offering. 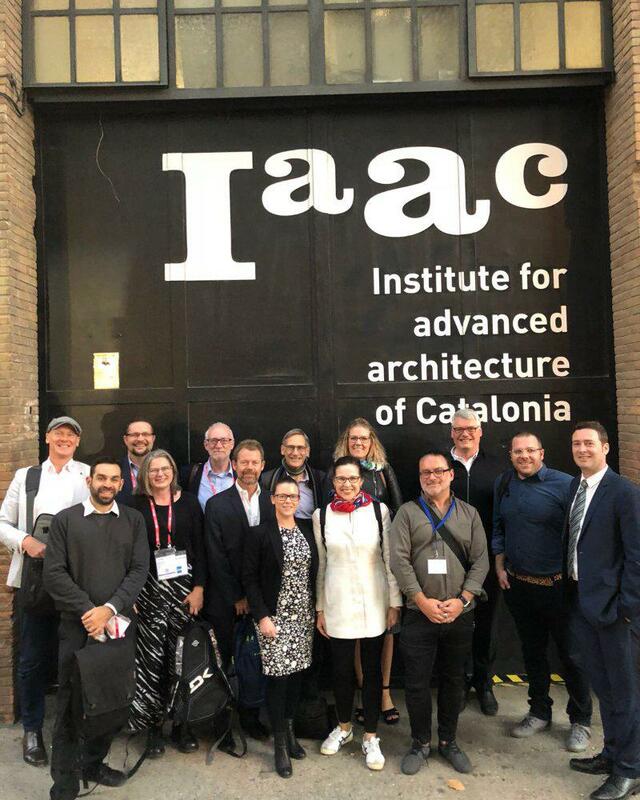 The day finished with an offsite presentation and tour of the Institute for Advanced Architecture Catalonia, organised by Austrade. This was an equally impressive and memorable part of the day, visiting an inspiring training and education facility that blends architecture and design with experimentation and fab-lab proof of concept testing. An inspirational cluster of people and skills seeking to explore and solve many of the forgotten problems within cities. So Day 1 is a wrap and looking forward to a deeper trade hall dive tomorrow and sitting in on a few more presentations and conference sessions. Adios for now. Chris is the executive director for planning at Place Design Group. Chris leads Urban Planning teams internationally in Australia, China and South East Asia.